Alcohol has a sometimes-wonderful, sometimes-not-so-wonderful way of distorting perception. It’s no secret what wine can do: every culture that ever existed in human history has found one way or another to alter the mind; it’s only natural. Problem is, sometimes those effects can have unintended consequences. 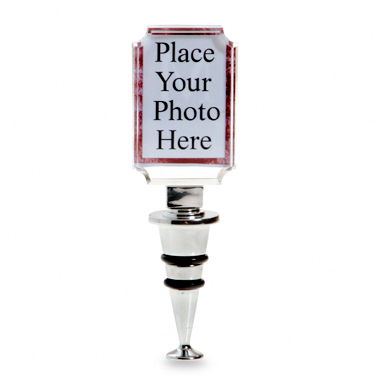 The Photo Wine Stopper may be designed to be a clever wine-related gift, but as it is capable of displaying not one, but two separate photos it also would make a great before and after display. Now exactly what those before and after photographs entail is entirely up to you. Peeps Sushi. Wait. Peeps Sushi?